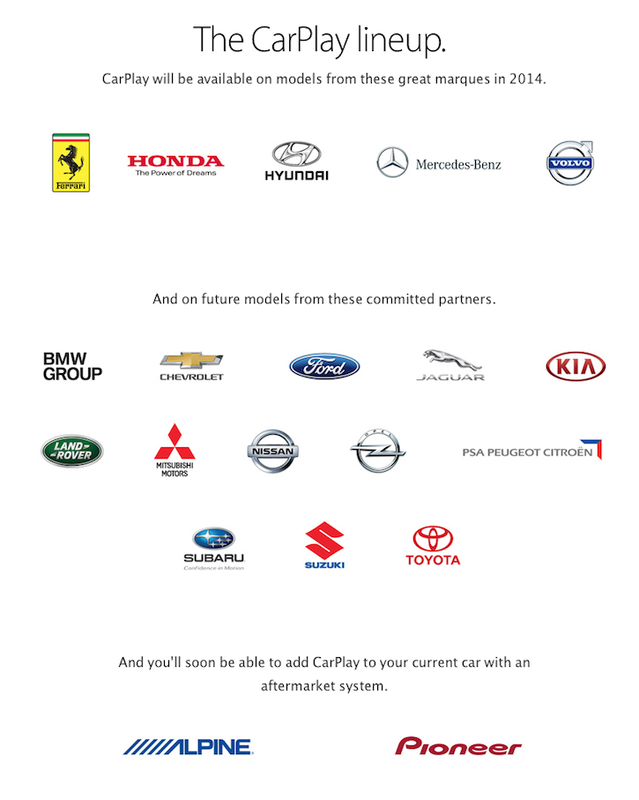 Apple has added a small piece of extra information on their CarPlay webpage regarding aftermarket solutions for their in-car technology system. The addition comes soon after aftermarket car entertainment companies, Pioneer Electronics and Alpine Electronics announced that they are bringing CarPlay to a select head units this year. Pioneer will bring CarPlay to five NEX receivers: AVH-8000NEX, AVH-7000NEX, AVH-6000NEX, AVH-5000NEX and AVH-4000NEX only. All receivers are available for purchase at the moment with CarPlay compatibility being added via a firmware update sometime this Summer. 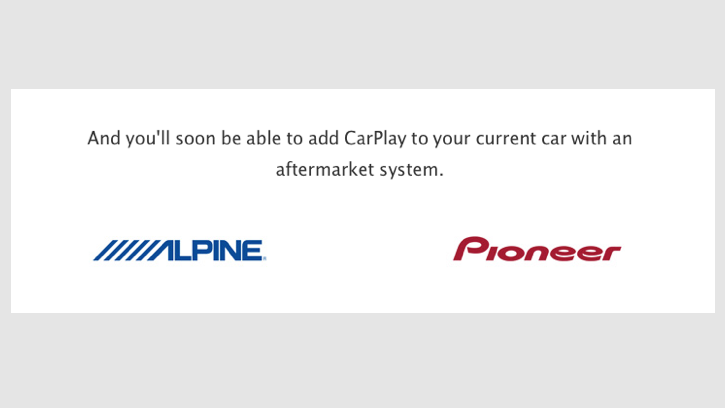 Alpine says it will launch a standalone CarPlay capable head unit sometime this Fall. We'll keep an eye and see if any more aftermarket companies will add CarPlay to their hardware. For now though, it's between Pioneer and Alpine.